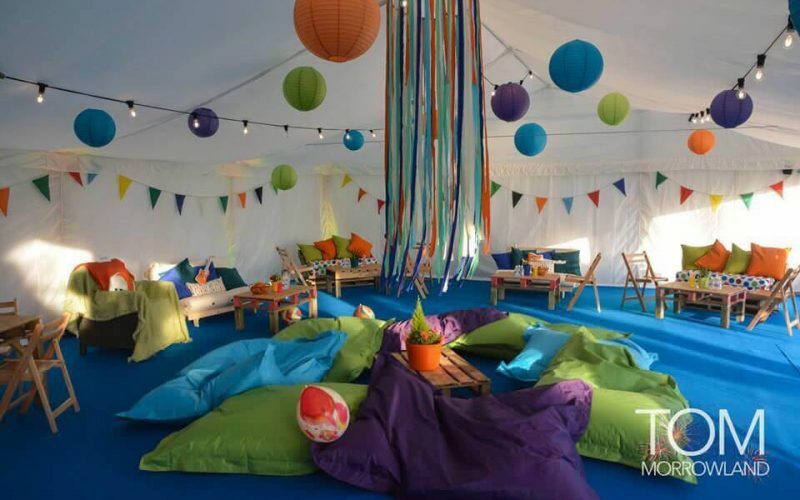 … a festival theme with a riot of colour and a lively, fun atmosphere for their son’s 21st. We were asked to incorporate the alpaca shelter into the marquee! … a WOW with a Clearspan marquee which was linked to another marquee with a clear roof, by a cruciform. 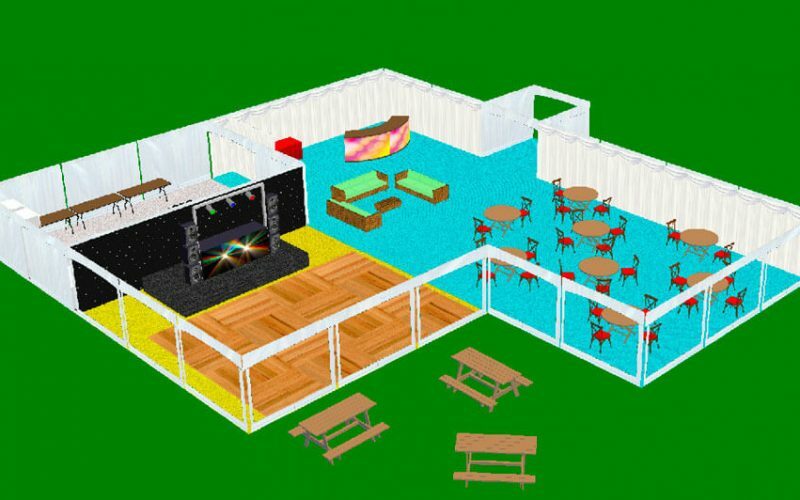 This provided clearly defined areas – chill out seating, a bar/entrance area and the dancefloor. 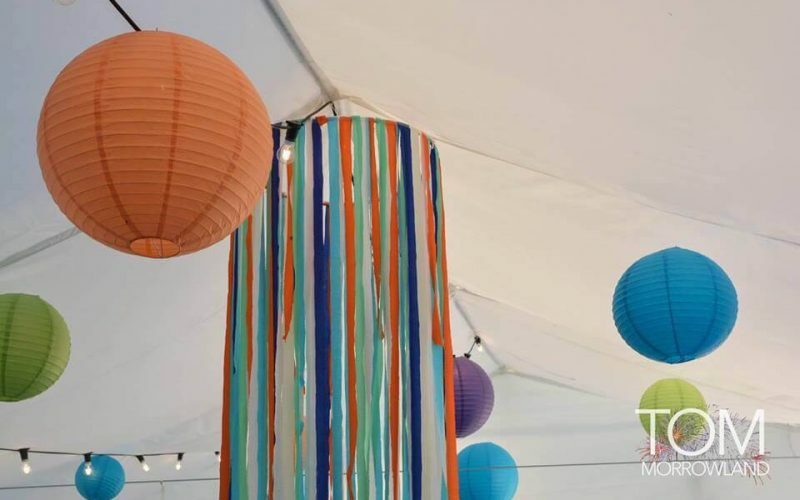 Festoon lighting, paper lanterns and fairy lights inside along with festival bunting and banners really brought the marquee to life. 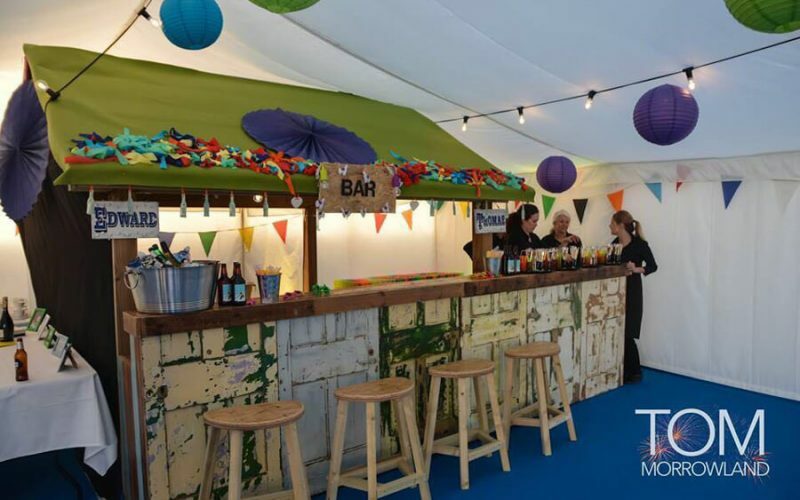 Bean bags, fold up chairs, pallet furniture and cushions in the chill out area, poseur tables and a feature ‘tractor bonnet’ table and stools in the bar/dance area. Lulu’s even made ‘Blue Peter fashion’ the crepe paper chandelier decorations! And the alpaca shelter? We turned into a bar with vintage door frontage. Outside a photo booth, fire pits, straw bales, an area to camp, really created the festival vision. Dodgems would have been included but access excluded them! A lovely family affair and ‘mum’ really threw herself into theming the interior of the marquee. Photographs courtesy of Shuttr Media.